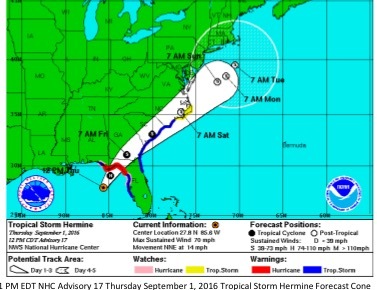 Consider it the calm before the election storm. It was a bit of a quiet week in Bladen County. Hundreds of folks headed to the Bladen County Library in Elizabethtown for early voting ahead of Tuesday’s midterm elections. Communities and individuals continued to recover from hurricanes Florence and Michael. Scammers, it seems, never take a break. Several Bladen County residents reported receiving calls from someone posing as an employee of the Social Security Administration. Acting Inspector General Gale Stallworth Stone said SSA will not threaten anyone nor do they contact people by telephone for issues related to their benefits. She said if you suspect a telephone call is fraudulent, hang up and notify local law enforcement immediately. 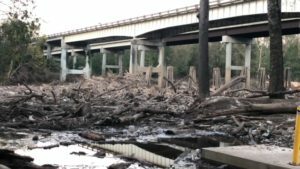 As for damage from September’s storms, solutions are being discussed to repair the Elizabethtown City Cemetery while the logs in the Cape Fear River that jammed against the U.S. 701 bridge is expected to be costly to clean up. The cemetery suffered significant geological damage from Florence while its estimated to cost more than $4 million to remove debris and repair the bridge. Meanwhile, the traffic pattern has been changed to using only one bridge to cross over the river in Elizabethtown. 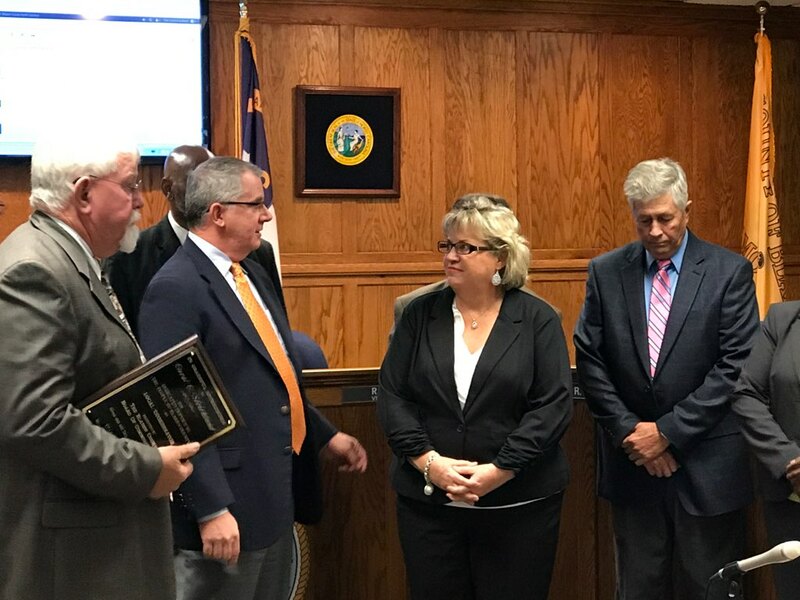 Bladen County Health and Human Services Director Wayne Raynor and Environmental Health Director Kory Hair said last week they were unaware of any private wells contaminated because of the storms. The department will test wells that were submerged by flood waters at no cost. 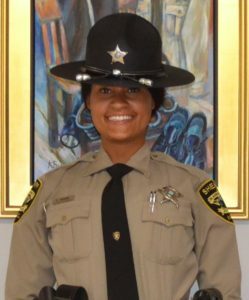 Cheers go out to Bladen County Sheriff’s Deputy Kayla Moore, who was recognized last week for helping an Elizabethtown Middle School student who was choking. It was at a school football game. Moore used the Heimlich Maneuver to help the student dislodge an object from his throat. The Sheriff’s Office lost one of its leaders last week. Capt. 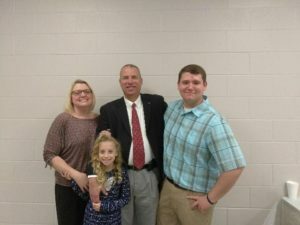 Jeff Singletary retired after spending 30 years with the department. Singletary was awarded the Order of the Long Leaf Pine by N.C. Rep. William Brisson during his retirement ceremony. Sheriff Jim McVicker announced last week Operation Find the Lost Human Scent Bank. It’s a program to help locate lost and endangered people. It’s a volunteer program aimed at providing known scent articles to a Sheriff’s K9 for “at risk” citizens in the community. The Bladen County Department of Health and Human Services is taking a look at what residents perceive to be the biggest health concerns in their communities versus what statistics show to be trends in the health of our communities, says Health Educator Marianne Valentiner. The Community Health Assessment helps officials see health-related trends in their communities and to determine priorities and programming. What would a Week in Review be like without a mention of the hog farms lawsuits. The fourth case of the 26 nuisance lawsuits against Murphy-Brown LLC, is scheduled to go to trial Nov. 13 in Wake County. Maybe it wasn’t such a quiet week after all. In fact, it may have created quite an appetite. Here’s some dining options based on recent health department inspections. Afterward, consider getting in the holiday spirit by helping with Toys for Tots.